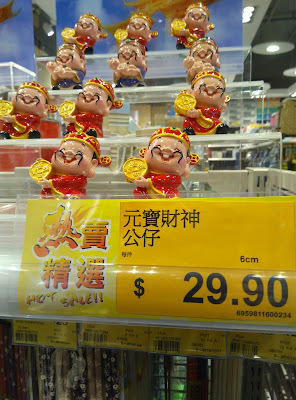 This little figurine of a smiling man holding a gold ingot is a hot sale in Hong Kong at the moment. And judging by the number of luxury cars on the city's street, it is not that surprising. Perhaps it really works, so I am thinking about buying one. Getting wealthy for just 30 dollars (around 3 euros) is a pretty good deal. 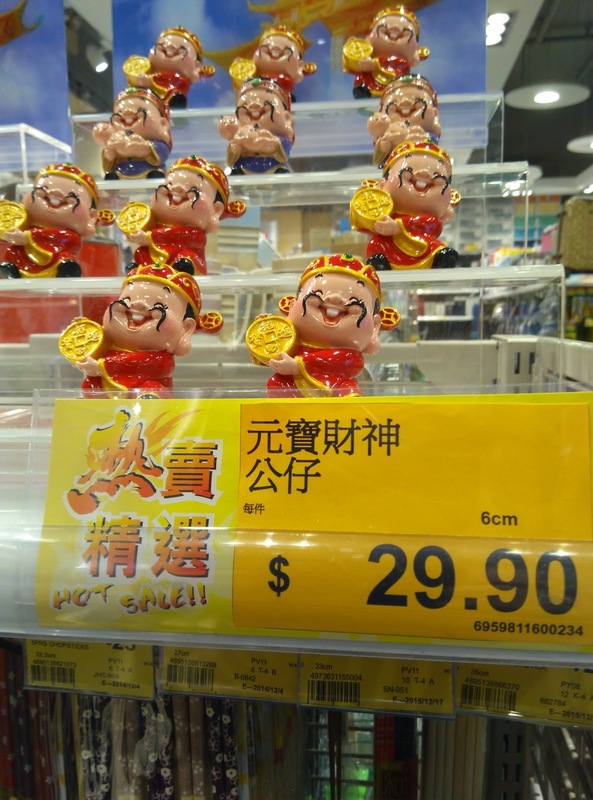 The name of the figurine is 元寶財神公仔 (pinyin: Yuánbǎo cáishén gōngzǐ), which literally means: Doll of the Gold Ingot God of Wealth. Shoe-shaped silver or gold ingots (元寶) were used as money in ancient China and they have thus become traditional symbols of wealth in Chinese culture. According to Vivien Sung, the yuanbao first appeared in the Han Dynasty (206 BC - 220 AD). In the Yuan Dynasty (1279-1368) they became an actual standard currency. Because the Chinese dumplings resemble the shape of gold ingots, they are also associated with wealth and are an auspicious dish to eat on New Year's Eve in various part of China (see Vivien Sung: Five-Fold Happiness: Chinese Concepts of Luck, Prosperity, Longevity, Happiness, and Wealth, 2002, pp. 232-233). Some people believe that China has become "materialistic" after Deng Xiaoping's opening up in the 1970s. But I think this is far from the truth. The Chinese-speaking world is full of traditional symbols of wealth that show exactly how much people have always cared about money in China. Traditional symbols of prosperity include the deer, the peony, the monkey, the rooster, the crab, the sticky rice cake, tangerine, the lettuce and the beckoning cat, the number 8, and dozens of others. One of the most popular symbols is the goldfish (金魚), because the pronunciation of these two characters sounds like 金餘, which means "abundance of gold". That's why the image of a child holding a large fish and a lotus flower can often be seen on Chinese New Year. The fish stands for wealth, while the lotus flower stands for harmony. Another popular image is a fish wrapped in a lotus leaf. If you send a postcard with this image to a friend before New Year, it means you are wishing him or her "abundance of money in their wallet" (ibid., p. 244). If you go to a Daoist or Buddhist temple, you may also see the famous "money frog", a three-legged frog sitting on a pile of Chinese money and often depicted with a coin in its mouth.